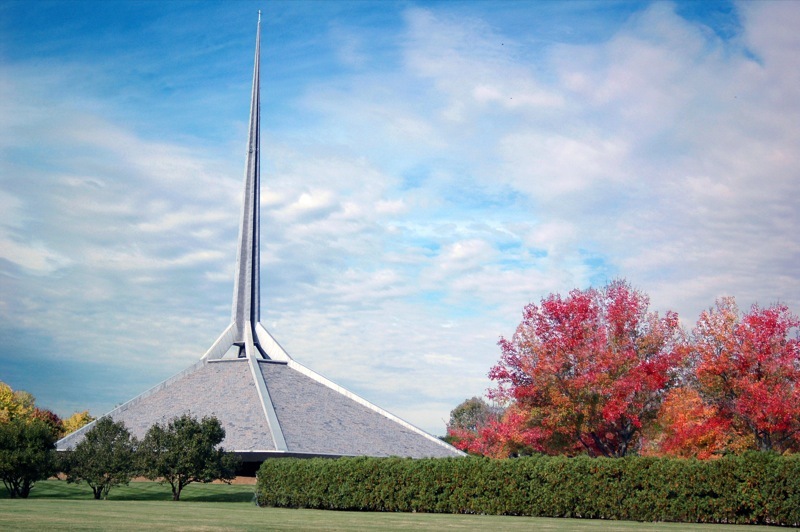 For a small city, Columbus, Indiana has an impressive collection of modern architecture. Despite a population of only 44,000, the city has works from John Carl Warnecke, Eliel and Eero Saarinen, I. M. Pei, and many more notable modernists. Columbus will provide the backdrop for the feature directorial debut of Kogonada, a filmmaker well known for his video essays. According to Variety, the film will feature Star Trek star John Cho and indie darling Parker Posey. Considering that architecture is a focal point of both the location and the plot, we can hope to see some of the city’s iconic buildings featured in the film. Some likely locations might be the Art Nouveau style Fire Station One by Leighton Bowers, Eliel Saarinen’s First Christian Church, or his son Eero’s North Christian Church, the last building he designed before his death in 1961. Other well-known locations include several of the city’s bridges, and Friendship Way, a brick-lined alley with sculptures and neon lights.